Taxpayers United of America (TUA) is a nonpartisan, 501(c)(4) taxpayer advocacy group. Founded June 27, 1976 in Chicago, Illinois by activist and economist Jim Tobin, TUA works on behalf of taxpayers to reduce local, state, and federal taxes. In the past forty years, TUA has saved taxpayers more than $200 billion in taxes and has become one of the largest taxpayer organizations in America. In recognition of his fight for liberty everywhere, Alexander B. Magnus, Jr. (1926-2002) was honored with a Lifetime Award at TUA’s 35th Anniversary Celebration. For over 15 years, Al Magnus was a prime supporter of NTUI and the Illinois Taxpayer Education Foundation. Jim Tobin remarked, “We couldn’t have done it without him,” and he meant that literally. One example of Al’s high-powered, dynamic support: In 1997, Al paid to print and distribute one million copies of the foundation’s famed research study on government school spending in Illinois. A four-page summary of the report was included as an insert in seven Illinois newspapers, including the Peoria Journal Star, Daily Herald and Daily Southtown. Al Magnus was one of a kind: an authentic patriot, a kind, generous human being, and a champion of liberty. His principles and efforts truly made a difference. Become a champion of liberty. 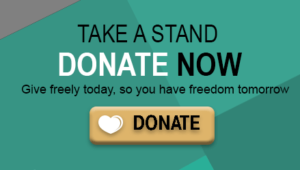 Donate to the Taxpayers United of America today and help us increase the prosperity of our citizens and the economy.